Since 1989, The CHP Group has partnered with leading health plans, employers, and CAM (complementary and alternative medicine) providers to empower members to invest in their health and well-being. They provide the highest standards of medical management and administrative support. What truly sets them apart is the exceptional and responsive service they provide to customers, members, and providers. In 2007, The CHP Group realized that their tried and true digital phone system needed to be replaced. It was over ten years old and had limited functionality. The customer service team used a simple call distribution program to handle calls, and while it worked fairly well, there was no reporting to help the management team gauge how well they were serving their growing clients’ needs. The call center had the dual job of helping individual members and healthcare providers with queries, status updates and other services. They needed speed, flexibility and call information that the digital system just couldn’t provide. Matrix Networks needed to find a telephony solution that would offer better service to callers and be easy for team members to master. It had to be scalable and cost-effective, utilizing as much of the current infrastructure and network hardware as possible. The agents needed more mobility within the office; customers were requesting more self-serve options, and the IT team needed to streamline the administrative tasks associated with the PBX. Matrix Networks suggested the ShoreTel Small Business Edition (SBE) telephone switch with Work Group agent licenses for the customer service team. The SBE allows a company to start small and add licenses and switches as needed. ShoreTel’s “brilliantly simple” architecture allows for easy growth at a pace dictated by the company needs. The Work Group licenses allowed for a more sophisticated caller experience, including estimated wait time and differentiated greetings and self-serve options, while giving the customer service agents enhanced call visibility, caller details, and powerful, intuitive call handling options. We replaced their old wired headsets with Plantronics wireless headsets, giving the agents more flexibility and mobility. With ShoreTel reporting, the management team suddenly had access to information on agent activity, call details, service levels and trunk usage. The ShoreTel Work Group solution offers a dozen built in reports with additional, enhanced reports available for a small fee. Since the initial installation in 2007, The CHP Group’s ShoreTel hardware has expanded as their needs have grown, so has the software. Thanks to focused R&D dollars, ShoreTel is constantly improving the features and functionality of the operating system. 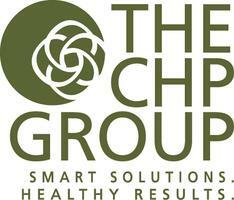 They offer updates through regular software releases, and The CHP Group has benefited from that. The CHP Group doesn’t have a six year old phone system running outdated software; they have a current phone system running the current ShoreTel software. This is just one more ShoreTel advantage. The IT team can leverage improvements in business technology that would otherwise be unreachable without a forklift telephony upgrade.